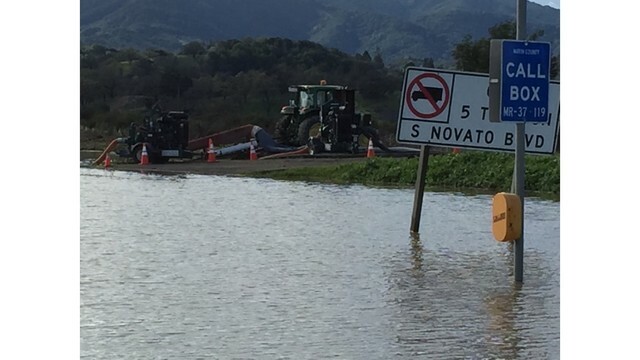 SAN MATEO COUNTY (KRON) -- A Flood Warning had been issued for East Palo Alto, and with it comes evacuations for some residents, according to the National Weather Service. The warning has since been lifted at around 5 p.m. The National Weather Service said residents at the Woodland Creek Condominiums were being asked to voluntarily evacuate. Residents in surrounding areas should prepare to move to higher ground. All others should avoid low-lying areas on the south side of the city. With West Bayshore Ave. closed at Woodland Ave, authorities suggest using University Ave. to leave the area. For shelter residents can go to East Palo Alto YMCA at 550 Bell St.